If you’ve ended up clicking on this article, I’ll take a wild guess and assume that you care about growing your Instagram account. ‘How to get followers on Instagram?’ is a question on every marketer’s mind. Sadly, the majority of articles published on the topic are either too vague or too case-specific, and mostly present a couple of low-impact and/or exhaustively time-consuming ideas. In addition to that, these Instagram follower growth strategies need to be updated almost as often as Instagram updates its ranking algorithm – there’s a good chance that the tips shared in 2017 are long outdated, because well, Instagram has changed a lot in the past 2 years. 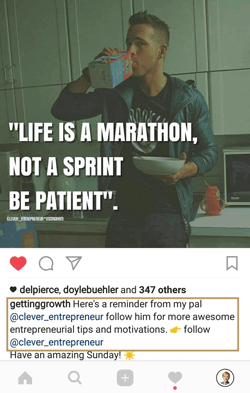 I [@gettinggrowth] have been doing Instagram Marketing for a couple of years now. During that time, I’ve tested ridiculous amounts of different methods for growing mine and my clients’ accounts. Through these experiences, I’ve compiled a set of universal and effective ways to get followers on Instagram. In my attempts to organize them somehow, I came up with this step-by-step guide to growing a follower base, more specifically: a road to 20k. But before you get started with it, it’s time for a quick reality check: A silver bullet strategy that will suddenly bring you to the 1k, 10k or 20k mark, does not exist. 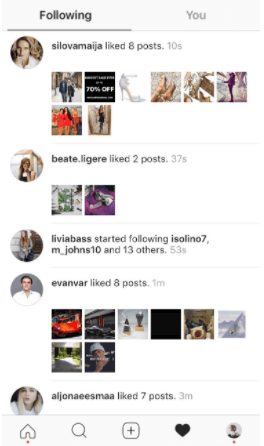 When it comes to how to get followers on Instagram, timing is everything. Yes, there is a set of activities that you can do to increase your following. However, suddenly going full-speed with all of them isn’t going to result in anything remarkable, as the effectiveness of each action changes after reaching a certain follower milestone. For instance, there’s no point in buying a shout-out to your account for a 100 bucks from a big influencer while you have 10 followers. Yes, you might get some followers from that, but the price per follower would be unreasonably high. It would be much more effective when you’ve already established a strong identity and following on Instagram, and are looking to speed up the snowball effect. If you don’t have an existing customer/follower community, you can turn to your friends, family or colleagues, and ask them to follow you. This is one of my personal favorites, because you can get the initial follower base quite easily even without posting any content (however, I’d still suggest having at least one post there to begin with), and if you’re one of those people with a large family and friend group, you might just hit that 100 followers quite quickly. Also, if you have a brand website, you can capture any site visitors by adding an Instagram follow button, to be sure your audience knows where you find you on social! 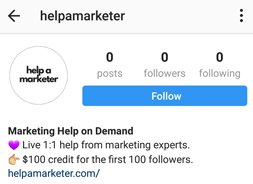 After you’ve completed this initial step, it’s time to choose a strategy to get followers on Instagram and growing this base to at least a 100 followers. Even if you haven’t properly launched your site yet, it adds credibility to your brand — it shows your audience that you’re serious about your brand to have gone the extra-mile and bought a domain. Ideally, you should have at least a “coming soon” page set-up with a lead capture. But don’t sweat it — your Instagram page doesn’t necessarily grow faster by having a link in your bio. At this point, it’s more of a nice-to-have to start moving towards monetizing your audience, which you can totally do in the later steps as well. When writing an Instagram bio, make sure to be very clear on what your account is going to be about. If you’re planning to launch an eCommerce business, then say it. If you’re giving away free marketing advice, let them know. Maybe you’re launching a giveaway for the first 100 followers? They should know about it. Give people an incentive to follow you, even if you don’t have anything up at the moment. If you want to take it one step further (and you always should), publish at least one post that looks beautiful and conveys your brand message. This will help you to get followers on Instagram, as it lets potential followers know what you’re about, what kind of posts can they expect from you, and gets them excited about your upcoming brand! Unfortunately, just having your account set up won’t help you get followers on Instagram. Search for accounts that are in your niche or in a niche similar to yours, and already have a substantial following (I wouldn’t go higher than accounts with 10k+ followers though). Once you have identified these accounts, start following at least 10 of them, and make sure to follow about 50 of their followers as well. If you want to go the extra mile (and again, you should), you can check out the accounts of those 50 followers before you follow them, to make sure they actually fit your target audience. Here’s the important bit — make sure to interact with the accounts that you follow on a regular basis! Like their latest posts, leave comments on them, respond to their Instagram Stories and/or just write them a direct message where you introduce yourself in one sentence and mention that you’ve started a new account and you would be honored to see them among your first followers who’ll get [insert the incentive you wrote about in your bio]. The personal approach of the direct message in combination with regular engagement will increase is a great tactic to get followers on Instagram – especially if you haven’t chosen an account that’s too big and will actually see your message. You should be doing all this in the later phases as well, but it’s especially crucial while when you’re still a new account. How many posts should you have published before you start serious Instagram outreach? In my opinion, at least 9-12 posts would be a good starting point. This means when someone lands on your profile there is sufficient content to portray you and/or your brand. Keep in mind that your posts should complement each other to create a cohesive grid and feed aesthetic. Having a nice layout for your images really matters. 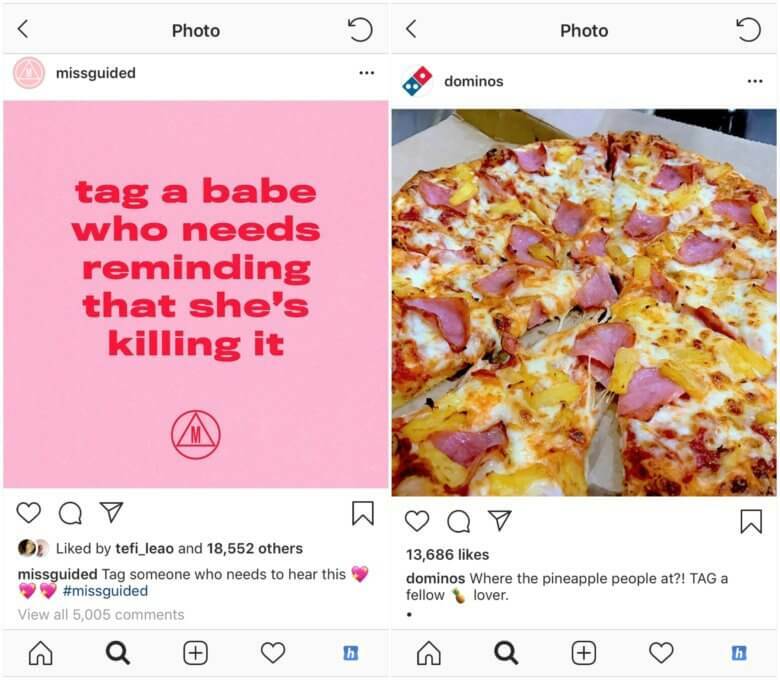 Yes, each individual image works for driving engagement from your existing Instagram followers who see the posts in their feed. However, the overall grid look is one of the most important things (if not the most important) in helping you get followers on Instagram. It shows that you take your brand seriously, and lets them know that they can expect similar quality content consistently. Accounts that use consistent colour palettes and go the extra mile planning their feed will get followers on Instagram more quickly than those who don’t! If you decide to go with 12 initial posts, I’d suggest posting them within 2-3 days at least. It depends on how often you’re planning to post in the future, but I personally think that having all 12 posts published in one day doesn’t seem organic at all. (This, however, is just my personal preference, and if you’re super anxious to start, then knock yourself out and post all of them immediately). 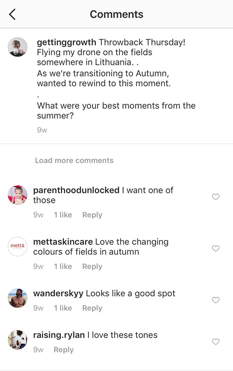 If you think it would make sense for your brand, you can also combine these two strategies to get followers on Instagram — let us know how it goes in the comments! Research more and less popular hashtags, pick out as many relevant ones as you can, and use them on your posts. So try to write something related to the caption or the post — the more human you are, the better! Ask specific questions or add your own opinion. This will prove to other Instagram users in your community that you are genuinely interested. Examples of short comments related to the caption on one of my posts. Sign up for a free 14 day trial today to test it out — you won’t want to go back to doing things manually. Firstly, you should start using engagement groups. 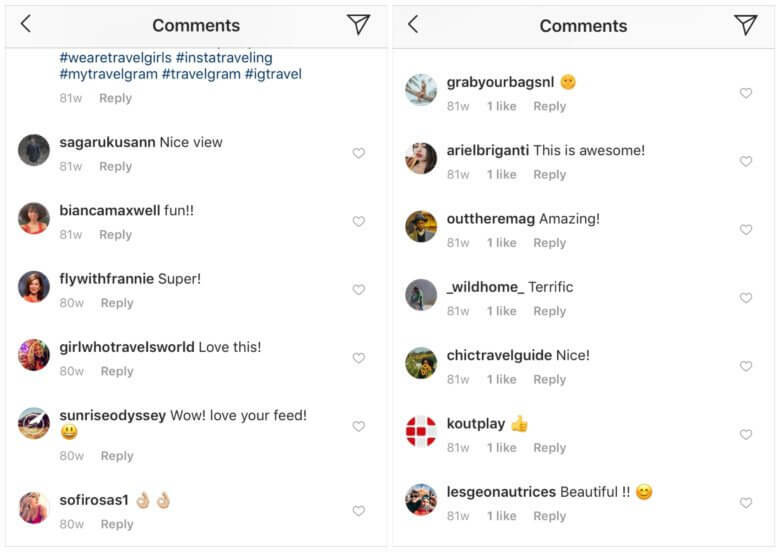 If you haven’t heard about them, then you should read the following article, to understand what engagement groups are and how they work: Increase your Organic Reach on Instagram with Engagement Groups. Thirdly, definitely start scheduling your Instagram posts. Once you’ve reached this stage, every minute you invest into your Instagram counts. Check out this step by step guide to scheduling on Hopper HQ. 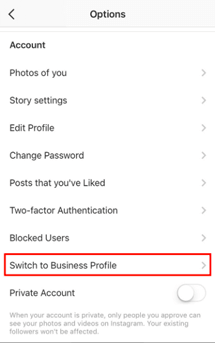 Click it and follow the instructions to set up a business profile (FYI – you will need a Facebook page that you are an admin of). You can promote your existing posts, or link your account to Facebook and create an ad from the Facebook Ads Manager panel. Try different targeting options, and see which one gets followers on Instagram the quickest or increases engagement (depends on the post and goal). I would suggest making short video ads and choosing Instagram Stories as the ad placement. This is still a relatively underused placement, which probably yields in better bang-for-the-buck ratio than the regular feed posts would. If you need any help with running the ads, hire a freelancer or heck, even shoot me a message on Instagram, and I’ll give you a quick intro! Influencers are real people too! If you want to approach an influencer about working together, be genuinely interested in what’s going in their lives. If you’re not on the shy side, record a short video of yourself as a conversation starter, and send it to them as a direct message. You’ll definitely stand out from other accounts who they might be having conversations with. If you select multiple accounts as recipients, be sure to not create a group chat, but send it to them separately. Otherwise, it doesn’t seem very personal. You might be asking, “How does this help me get followers on Instagram”? Well, it’s quite simple, actually. When you view your notifications on Instagram, you’ll notice a Following tab. It’s where people go to spy on what their friends are up to on Instagram — what photos they like, which accounts they’ve started following, what comments they’ve left, etc. If you haven’t ever used it, you should start ASAP. I don’t have hard evidence to back this up, but this BuzzFeed article suggests that 67% of Instagram users use it. If these influencer accounts keep liking and commenting on your posts, there’s a good probability that their followers will see. It’s a great way to help you get followers on Instagram because naturally, people want to know what their friends and idols are into, so they’ll go and check it out. If the content is similar to what they already like anyway, it’s likely that they will start following you as well. The world of influencers is a little daunting if you’re still building your brand and trying to get followers on Instagram, so check out this Simple Guide To Instagram Influencer Marketing in 2019 to learn all you need to know. That number is so big that it doesn’t fit in the dedicated space, so it’s shortened to 10k. Additionally, you get the huge perk of being able to add links to your Instagram Stories. This opens up an amazing opportunity to start monetizing your Instagram account. Here’s one article on how you can go about doing it with e-mail: How to Monetize Instagram. Keep doing everything you have been doing so far to get followers on Instagram. Of course, if something seems like it’s not giving any returns, then stop doing it and focus on things that have the most impact! 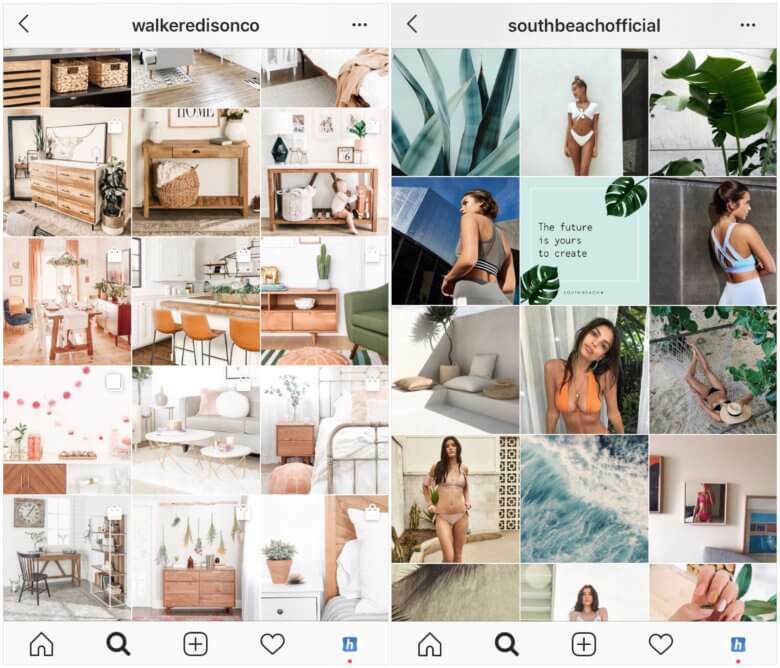 You should revisit your Instagram marketing strategy at every stage of this guide to make sure you’re staying on track! One of the best ways to get people promoting your content is by simply asking them to tag their friends. This can actually be done with any post you make. It works well with emotionally powerful content — quotes, funny and/or inspiring videos, posts about animals etc. In your post caption, you can include something like “Tag a friend”, “Tag someone who inspires you”, “Tag someone who should be doing this” and so on. The content needs to be really good though. That’s the key here. If it’s not emotionally moving, it’s not likely people will tag others! Offer a prize that your followers can’t refuse! It can be books, gadgets, hats, shirts, Amazon gift cards, a product you sell, etc. I’m not gonna go into great detail about this, so here’s an article on how to run an Instagram contest, in case you’re interested. Run a giveaway contest to help get followers on Instagram. As with previous milestones, everything we covered before can surely be used to grow your account and help you get followers on Instagram. However, I want to give my final suggestions that I have seen give good return, especially when you have grown your account over 10k followers. Like I said, having your account Instagram follower number over 10k is magical. It builds credibility and you’re definitely not another random account out there anymore. That being said, you should start thinking about creating a voice outside of Instagram. Having more than 10k followers opens up opportunities for monetization, and you should take advantage of them and focus on building your whole online presence rather than just an Instagram account. I mean sure you can do that, but it really comes down to your end game. Start thinking of your Instagram as a business. What problem are you solving? What value are you delivering? What do your followers “get” from your posts? When you have identified these things, search where your potential audience hangs out and start delivering value. These are just some examples of how you could be driving traffic to your profile and working to get followers on Instagram. Like Warren Buffet said, “Never depend on a single income stream”. So why should you only depend on the Instagram ranking algorithm to get followers on Instagram? Now, this might seem like a lot of work at first. But once you’ve got the hang of it, it becomes relatively easy. Alternatively, you can outsource most of these things. Before you get back to watching Taylor Swift’s latest music video, let me just give you one last method – shoutouts. You can agree on different ways to make the shoutouts. For example they can be as regular posts, video post shoutouts, or shoutouts in Stories. There’s a reason I haven’t mentioned them yet. In my own experience, getting shoutouts when your account is still small, can be expensive and quite useless. Sure you can do S4S (shoutout for shoutout) with someone who has similar content and is of similar size even when you both have just 100 followers. But in my opinion, it doesn’t make a lot of sense to start promoting other accounts while your own account is still in early stage. I feel that it’s a little off-putting to your followers. However, if you’ve built a close relationship with someone and their content resonates with you, it will feel more organic for your followers as well. Otherwise, 10k would be a good starting point for getting into shoutouts. You can try to arrange some sort of an agreement, but most of the time, you will have to pay for shoutouts. Talk to different accounts to get an idea how much they are worth. A shoutout from an account with 100k followers might cost you around $50. Also, the amount of new followers you will receive from a shoutout depends on your content, bio, follower count, followers-to-following ratio, etc. (see Step 2). Establish an online presence outside of Instagram to continuously drive traffic to your account. Collaborate with other Instagram accounts for shoutouts. That is how to get followers on Instagram! According to statista, Instagram now has over 1 billion monthly active users. This is massive social proof that they have managed to establish a platform that people really love. 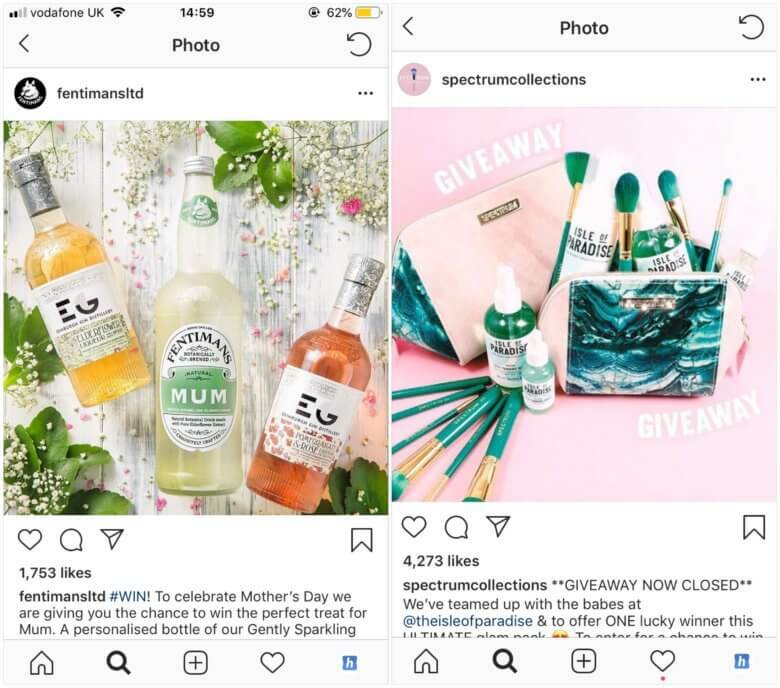 As a result, it’s attracting an increasing number of brands, businesses and freelancers that want to grow their presence and use Instagram as a channel to drive more sales. Despite this making it harder than ever to stand out, I’m confident that with the help of this guide + your own creativity, you’ll be ahead of the game in no time! A lot of marketers will probably disagree with me on this, but I’ve recently noticed that posting more content doesn’t necessarily make your account grow faster. Engaging with other Instagrammers does. In the beginning, I used to post twice a day every day. One week, I posted only 2 times or so, but was very active on the platform, leaving comments and likes all over the place, reaching out to users that I would like to collaborate with in the future, and so on. My engagement stayed more or less the same, but I was gaining more daily followers than ever before. The moral of the story is that if you’re on a tight schedule, don’t stress so much about posting more content. Post a few times a week, but make these posts absolutely awesome. Use high quality images/videos and write longer captions that are engaging and helpful! 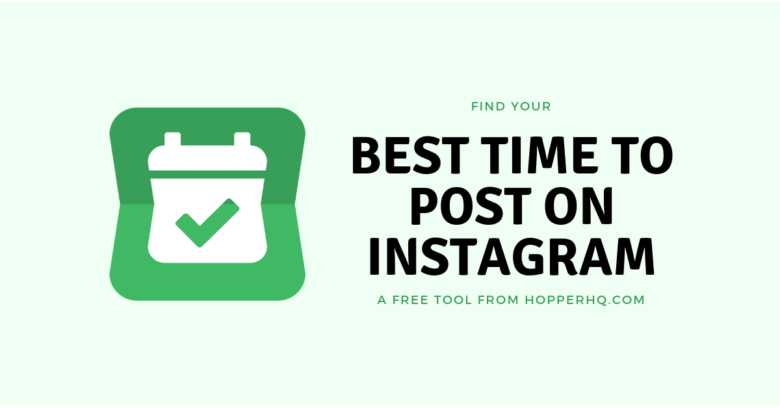 To make the process of content creation less overwhelming during an already busy week, space out a couple of hours at least once a week to prepare a ton of scheduled Instagram content ahead of time. This little “hack” has helped me stay sane like nothing else, and the quality of my content hasn’t had to suffer because of my hectic schedule either. I hope this has been a useful read, and has given you some new and more actionable ideas on how to get followers on Instagram. If you have any questions at any point or want to share your successes, you can always shoot me a direct message (@gettinggrowth).